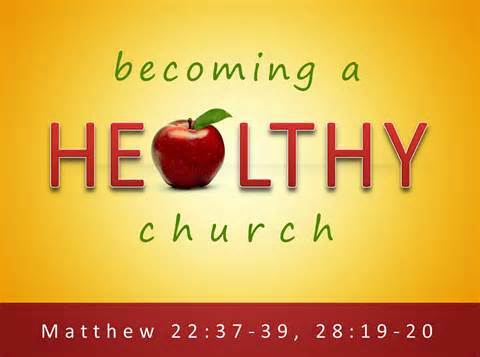 The healthy church gathers regularly as the local expression of the body of Christ to worship God in ways that engage the heart, mind, soul, and strength of the people. But our worship needs to become a way of life, not just a ceremony…we want to live in such a way that God is exalted and glorified in all that we do….every day! Looking in Webster’s dictionary you’ll find this first definition for worship, “reverence, homage or honor paid to God” Then it goes on to say that the word is also used to refer to a place where this reverence, homage, etc. paid to God is given. G4352: proskuneoô pros-koo-neh’-o to prostrate oneself in homage (do reverence to, adore):—worship. In a false worship we may detect three faults. 1. A false worship is a selective worship. It chooses what it wishes to know about God and omits the rest. The Samaritans took as much of scripture as they wished and paid no attention to the rest. One of the most dangerous things in the world is a one-sided religion. It is very easy for a man to accept and hold such parts of God’s truth as suit him and to disregard the remainder. 2. A false worship is an ignorant worship. Worship ought to be the approach to God of the whole man. A man has a mind and he has a duty to exercise it. Religion may begin with an emotional response; but the time comes when that emotional response has to be thought out. In the last analysis, religion is never safe until a man can tell, not only what he believes, but why he believes it. Religion is hope, but it is hope with reason behind it. 3. A false worship is a superstitious worship. It is a worship given, not out of a sense of need nor out of any real desire, but basically because a man feels that it might be dangerous not to give it. Many a person will refuse to walk beneath a ladder; many a person will have a pleased feeling when a black cat crosses his path; many a person will pick up a pin with the idea that good luck will follow; many a person will have an uncomfortable feeling when he is one of thirteen sitting at a table. He does not believe in these superstitions, but he has the feeling that there might be something in them and he had better play safe. There are many people whose religion is founded on a kind of vague fear of what might happen if they leave God out of the reckoning. But Christianity is founded not on fear but on the love of God and gratitude for what God has done. Too much religion is a kind of superstitious ritual to avert the possible wrath of the unpredictable gods. Jesus pointed to the true worship. God, he said, is spirit. Immediately a man grasps that, a new flood-light breaks over him. If God is spirit, God is not confined to things; and therefore idol worship is not only an irrelevancy, it is an insult to the very nature of God. If God is spirit, God is not confined to places; and therefore to limit the worship of God to Jerusalem or to any other spot is to set a limit to that which by its nature overpasses all limits. If God is spirit, a man’s gifts to God must be gifts of the spirit. Animal sacrifices and all man-made things become inadequate. The only gifts that befit the nature of God are the gifts of the spirit-love, loyalty, obedience, devotion. True worship is the offering to God of one’s body, and all that one does every day with it Real worship is the offering of everyday life to him, not something transacted in a church building, but something which sees the whole world as the temple of the living God. Worship at its essence is the response of a heart that is earnestly, striving, and crying out after the heart of God! Worship flows out of the deep, wrenching, hunger and thirst desire to know God and not only to know Him but to dwell in Him – to dwell in His presence!